Young Fastener Professionals offers guidance and empowerment by providing support and resources for individuals to maximize their potential. Please feel free to browse through some of our programs. 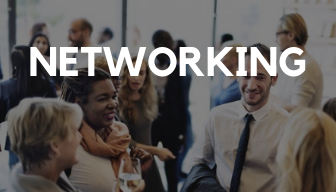 Young Fastener Professionals is well-known for their ability to successfully conduct speed networking events throughout the industrial distribution industry. If you are interested in having us in town for an event, please contact us here. Advancing Individuals through Mentoring is a collaborative program with the NFDA serves the needs of young professionals by pairing them with willing mentors focused on advancing the mentee’s personal career goals. This nationally traveling educational program provides development and support to the next generation of leaders. This highly interactive experience covers a wide variety of topics ranging from emotional intelligence to robotics. Creating an inclusive community to empower the next generation of young professionals and their companies through education, collaboration and networking. Young Fastener Professionals is an organization comprised of young professionals that provides empowerment and career development by offering resources and support to future leaders. While respectfully preserving the past, the next generation is hastily shaping the future of the business spectrum. This organization has created a platform for young professionals, and the businesses employing them to develop, educate and enhance a variety business initiatives. Founded in 2014 by Ryan Kertis, formally of Stelfast, Young Fastener Professionals has had a primary focus on integration and education boasting an impressive portfolio of various programs and events supporting those objectives. Young Fastener Professionals’ “Speed Networking” in Las Vegas, NV. Photo courtesy of Link Magazine.